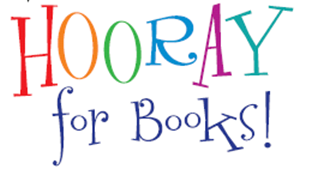 Hooray for Books Had Us Cheering! I was so excited for JLW’s Hooray for Books book drive for Bright Beginnings. This is my New Member year with JLW and I joined because of all of the great volunteer opportunities. I have a five year old son, Carson, and exposing him to volunteerism and giving is really important to me. So, October 29th gave us a wonderful chance to have a mommy/son date for a great JLW cause! The book drive was so much fun. Kids were encouraged to wear their Halloween costumes, so my son had another chance to put on his Luke Skywalker outfit. When we arrived at Hooray for Books, we selected a card that described the recipient of the book we were donating. My son chose – “5 year old boy” so he would know the right kind of book to pick out. We had fun perusing the books, and Carson picked out one of his favorites “Sylvester and the Magic Pebble” to donate. He also got a Star Wars book for himself. After we donated our book, we headed into the activity room at Hooray for Books where JLW volunteers had setup craft tables for the children. Carson made a monster with googly eyes and crazy arms for his craft, and we got a fantastic idea for making spiders out of black plates and pipe cleaners! The JLW volunteers running the event did a fabulous job of making it especially fun for the kids. JLW provides so many chances to connect with our community. I’m so proud to be a part of this organization and grateful that JLW gives me opportunities to do good things in the community with my family!